Hands up if you’ve ever tried a diet and given up after a few weeks? I know I have! My oddest diet was pureed ice cubes of things like sweet potato and broccoli. 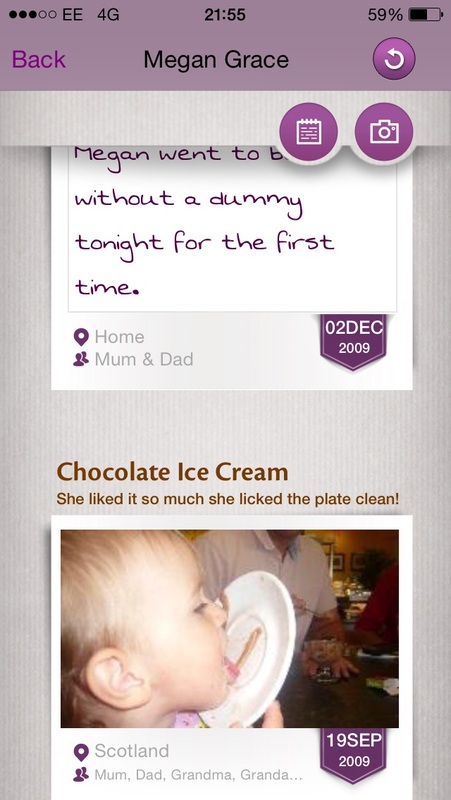 Yep – that was when I decided that I’d help my daughter learn to eat by eating what she was eating. foods they can eat by themselves. I did do a bit of this. 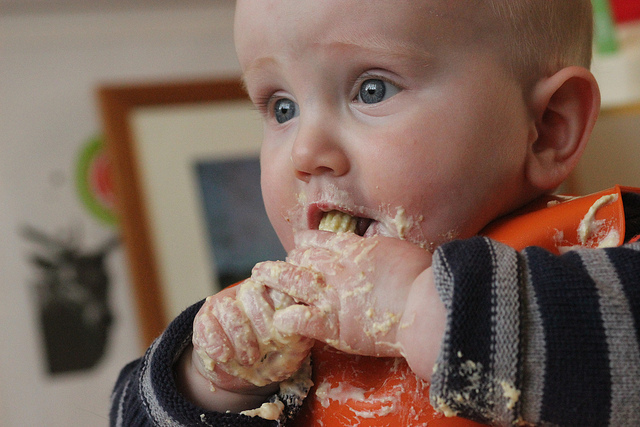 I guess I’d say my weaning was a mixture of baby-led and pureed mush. From the mums I spoke to who’d been giving this a try, the main advantage seems to be you can eat while your baby’s eating. Which might mean you get some (whisper it) hot food for once. Traditionalists lean more towards starting with baby rice to thicken up their milk as the first step. You’d follow that up with pureed foods, ground down with something mysterious called a moulinere. But if you’re breastfeeding and don’t want little one to have any milk other than yours you’ll find you need to express some just to mix in with the baby rice, which could mean some of your milk doesn’t get into your baby. Potentially a bit frustrating I guess. The NHS stresses weaning is a gradual process, so your baby should still be offered 500ml full fat milk (amounts differ for other sorts of milk) from 1 year until they’re 2. They suggest not giving your baby cow’s milk until they’re 1. Timewise, the official NHS line is that its safest to wait until your baby is 6 months old. This is to do with allergies and what is safe for their little tummies to handle – basically it could cause problems later. 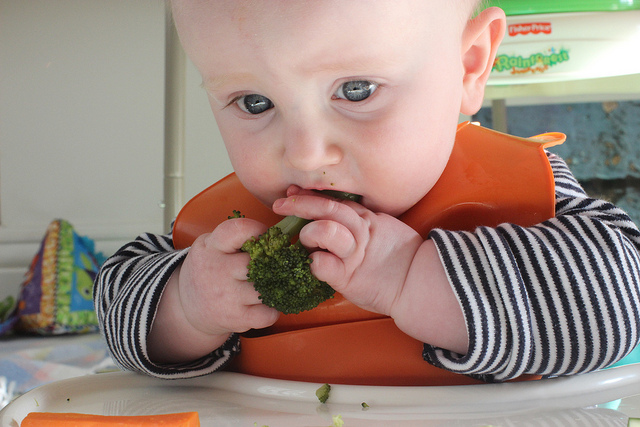 Which method did you use to wean your baby, and if you could do it all again, would you do it differently? 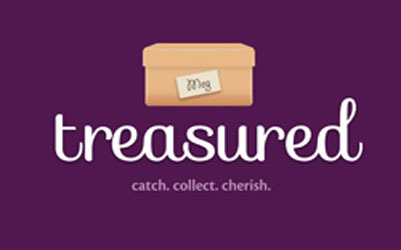 …and save your fabulous memories in their Treasured.com memory box! Whichever method you choose, enjoy it!! This entry was posted in Uncategorized and tagged baby, baby rice, baby-led weaning, food, pureed foods, recipe, toddler, weaning. Bookmark the permalink.